From speculative fiction, deep space adventures, and alternate histories to epic fantasy realms, all who can admit their dorkdom are welcome. Join Joel and Tommy the third Monday of every month at 7PM. This month we will be discussing War Of The Worlds by HG Wells. H.G. Wells , The Invisible Man. H. G. Wells , The War of the Worlds Plus Blood, Guts and Zombies. H. G. Wells is currently considered a "single author." If one or more works are by a distinct, homonymous authors, go ahead and split the author. 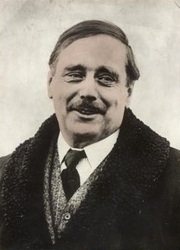 H. G. Wells is composed of 26 names. You can examine and separate out names.